Under normal circumstances, we only start stressing about our hair changing color as we get older. 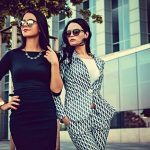 From birth, throughout our lives, we have red, brown or blonde and it’s only later in life that it starts losing its color. 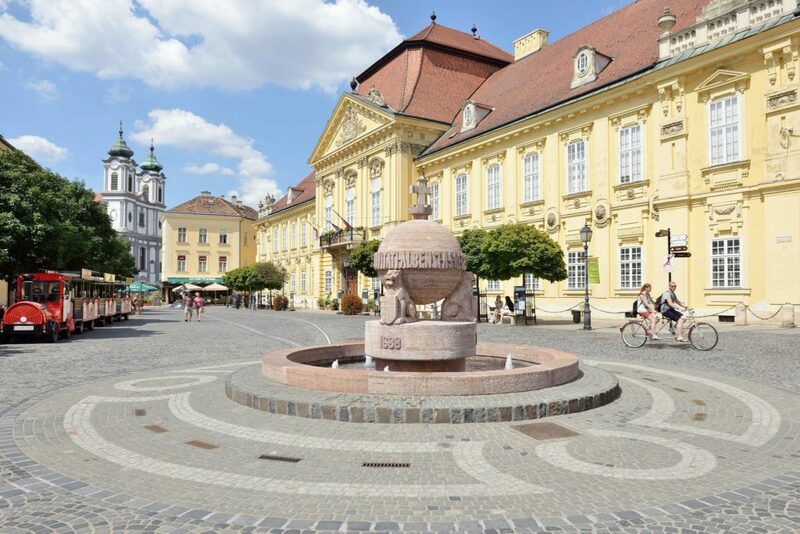 However, one particular newborn stunned his parents and medical staff. 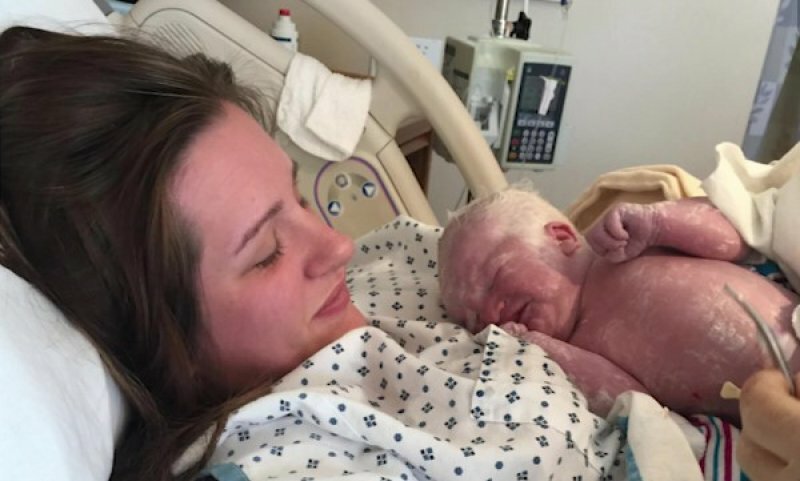 Baby BenceCsinesa was born with a very noticeable feature that not many people have seen before. Instead of being brown, blonde or red-headed, he has what can only be described as a head covered in the whitest hair. 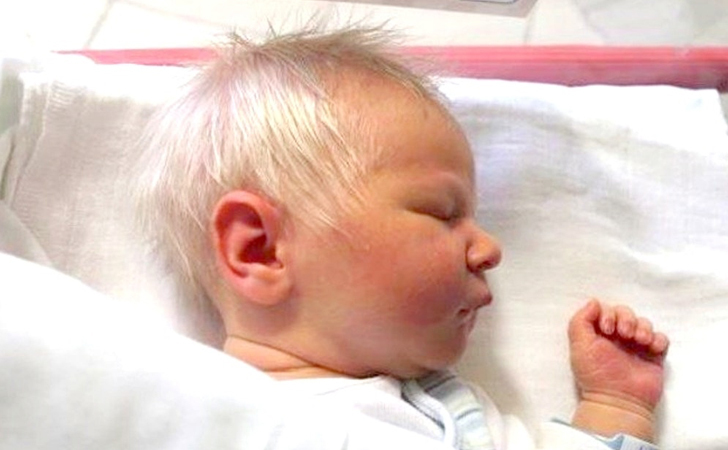 In the days that followed it was obvious to everyone that Bence was like any other baby, except for his white hair. 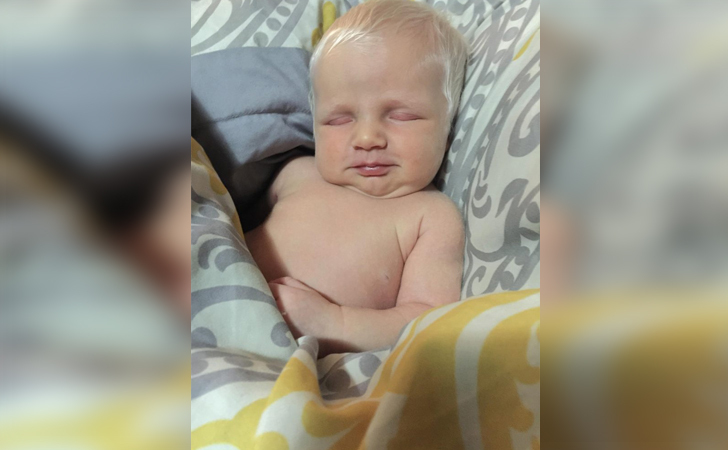 He measured 21 inches, which is average and although at 12 lbs he weighed more than the average baby, everything else pointed to a healthy, normal infant. 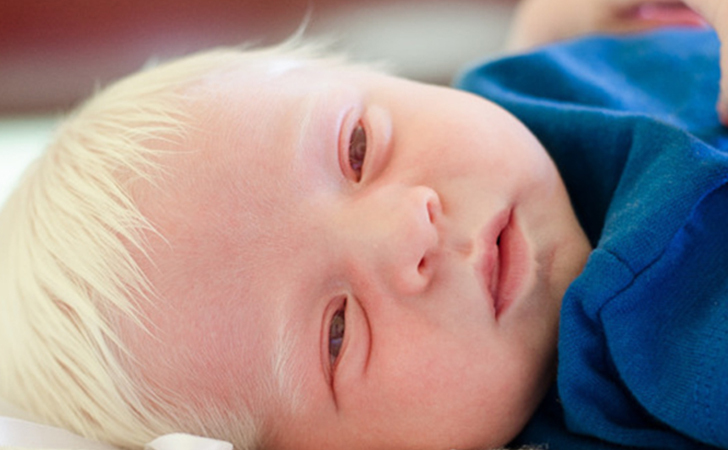 It’s common for babies to be born with very little or no hair at all. 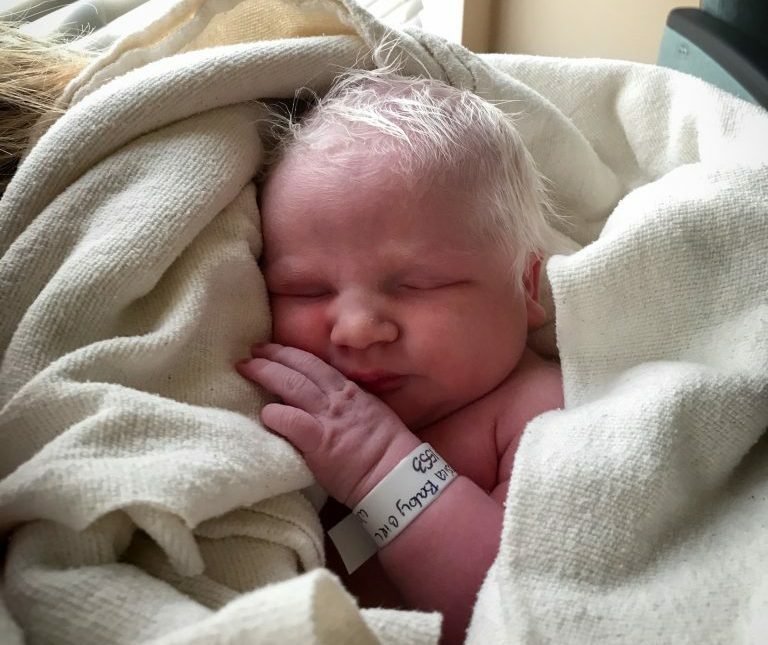 It’s less common to see a newborn with a mop of hair, but Bence had hair no one had seen before. #4. Why the White Hair? 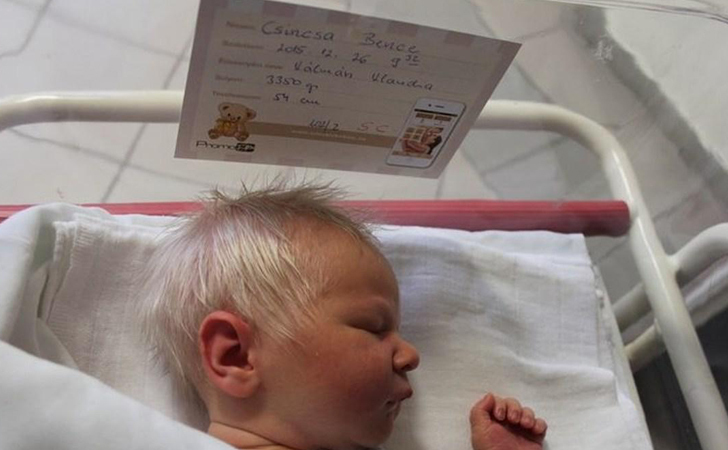 Doctors were unable to explain the color of Baby Bence’s hair and the usual tests done at birth didn’t indicate anything out of the ordinary. All the results were normal and Bence was considered to be a healthy little boy, just like the other babies in the nursery. While everyone was relieved they were still baffled by his hair. Did he have albinism? Was there something they had missed? But they would know the reason soon enough. It’s fair to say the world is a place filled with wonder and every day thousands of babies are born, all different sizes, colors and even shapes. 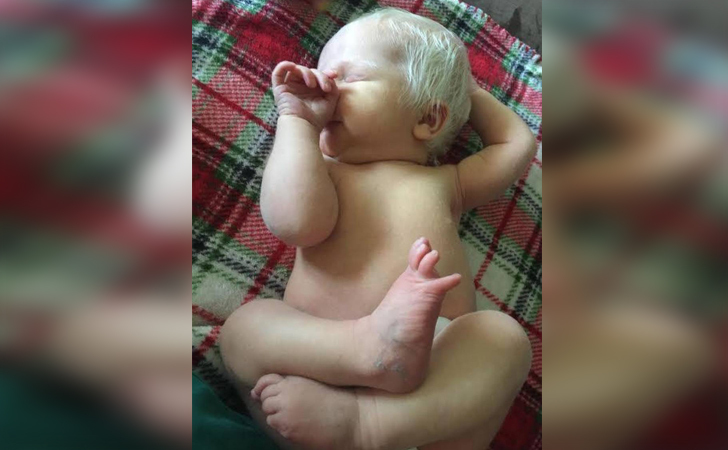 Each one is unique but every now and again a baby is born with a condition called albinism. Even though studies have been done and more is known about the condition it’s still fairly rare, with only five out of one hundred thousand babies born with a form of it. In many cultures, albinism is shrouded in mystery and ignorance leads to a lot of misconceptions. Scientists continue to do research to find out the reasons for this rare condition. 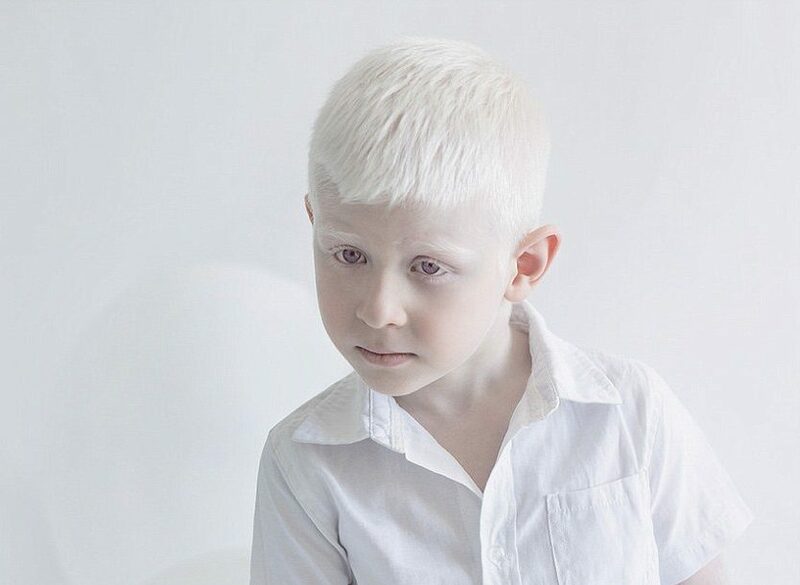 What is known for certain is that albinism can affect anyone, it doesn’t discriminate between age, race or gender and while most people seem to be born with the condition, some develop it later in life. Studies also confirm the condition is due to the levels of melanin a person has and it affects the color of a person’s hair, eyes, and their skin. There is no known cure for albinism and the condition doesn’t change over time. While there are no serious health issues associated with it, people with albinism invariably have problems with their eyesight. 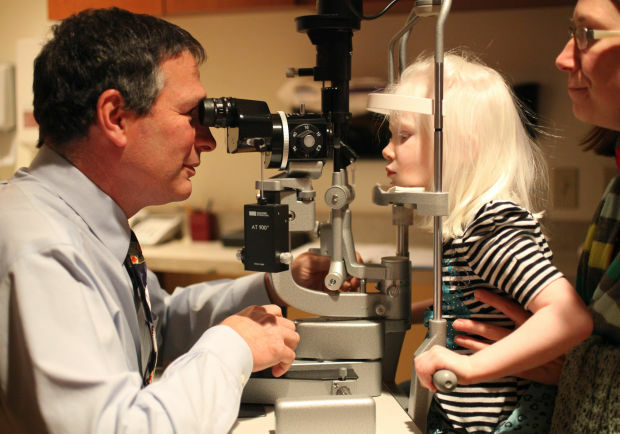 Throughout their lives, they need regular checkups for their vision and many need spectacles. Also, because of the low levels of melanin albinos need to be aware of the time they spend outdoors in sunlight and it’s recommended they use sunblock and wear hats and sunglasses. 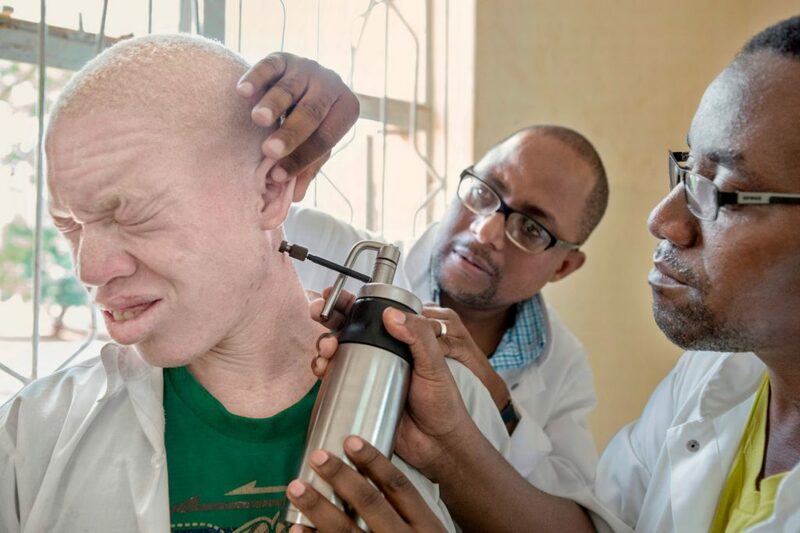 Even though there were no obvious signs of albinism Bence’s doctors refused to give up on him. While they didn’t know the exact cause for his snow-white hair they did know it had something to do with a pigment insufficiency of sorts. The only way they would be able to get to the root cause would be to test his blood, which would give an indication of Bence’s melanin levels. They owed it to him and of course, to themselves. #11. 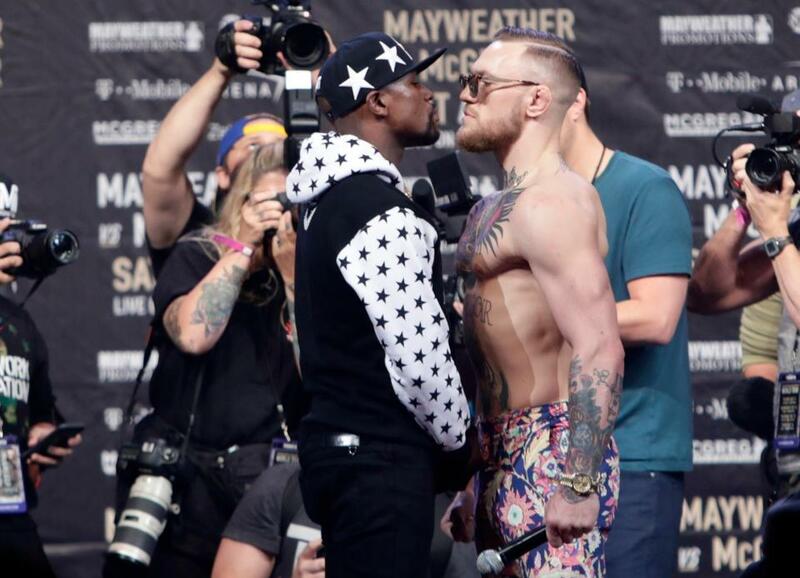 Ready for the Results? Dr. Kummer, the specialist responsible for Bence, oversaw the blood test and waited eagerly for the findings. 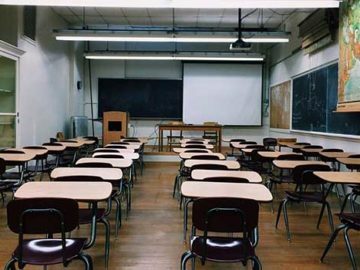 On seeing the results he finally knew what he was dealing with – the little boy’s melanin levels were low, which explained the color of his hair but a few questions still remained. Why wasn’t his skin also lighter? Why didn’t he show the other signs of albinism? Why was it just his hair? Dr. Kummer’s colleagues had their own theories. 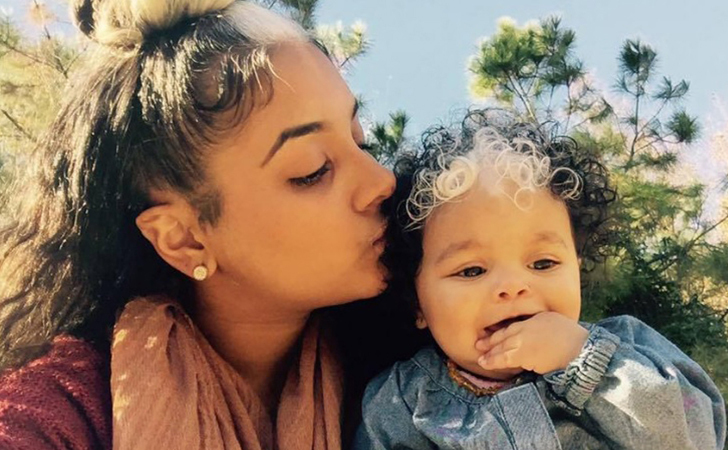 Some thought it had to with an illness of sorts, other doctors suggested it was due to Bence’s mother experiencing prenatal stress. Studies show that babies in utero can feel their mother’s emotions including anxiety and stress. Prenatal stress is often the reason for babies being born prematurely, being underweight at birth or being born with infections. 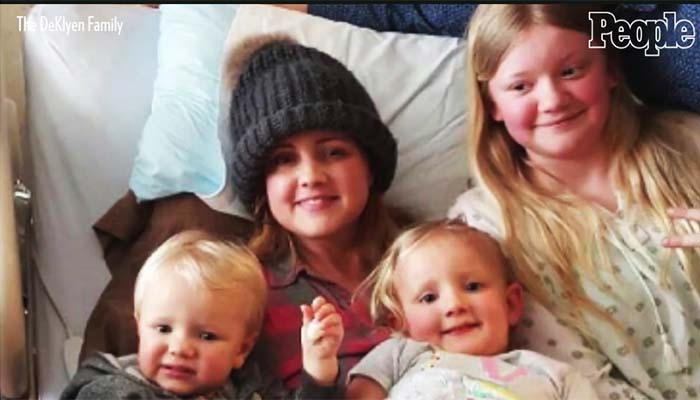 While this explanation isn’t unheard of, in the case of Baby Bence, his mother hadn’t shown any signs of stress while carrying him. It goes without saying that he quickly stole the nurses’ hearts, the doctors and everyone else who met him. For them, Bence is the sweetest little baby they’ve had the privilege of meeting and as a sign of affection they nicknamed him “Prince Charming”. 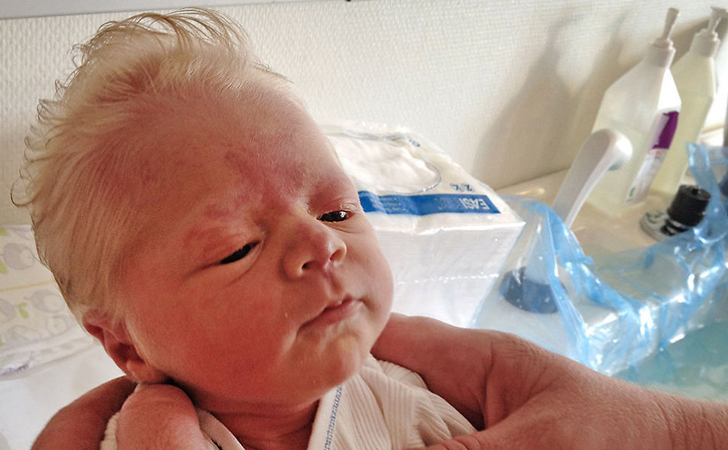 For Dr. Kummer, though he is sure the novelty will wear off soon as the baby’s hair darkens in time. It is his opinion that the lack of melanin is confined to Bence’s hair and is only temporary. Many people had a lot to say and most disagreed with Dr. Kummer. One commenter spoke of their personal experience to make their point. “It is often misdiagnosed and even under-diagnosed,” they said. 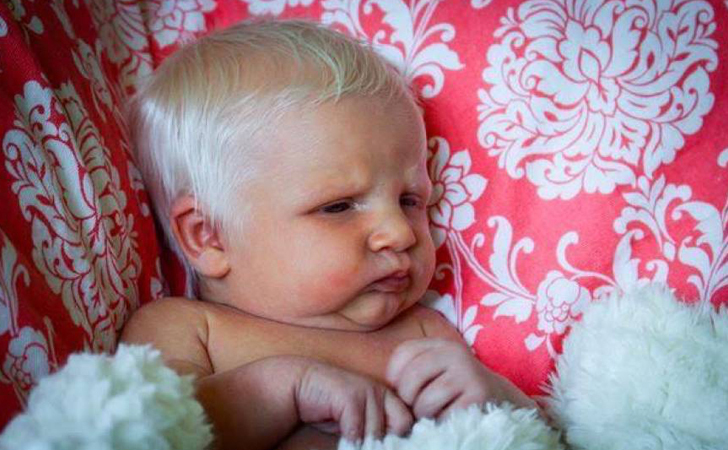 “My one grandchild has something called yellow albinism. It was only when he was two that an optometrist brought it to our attention. 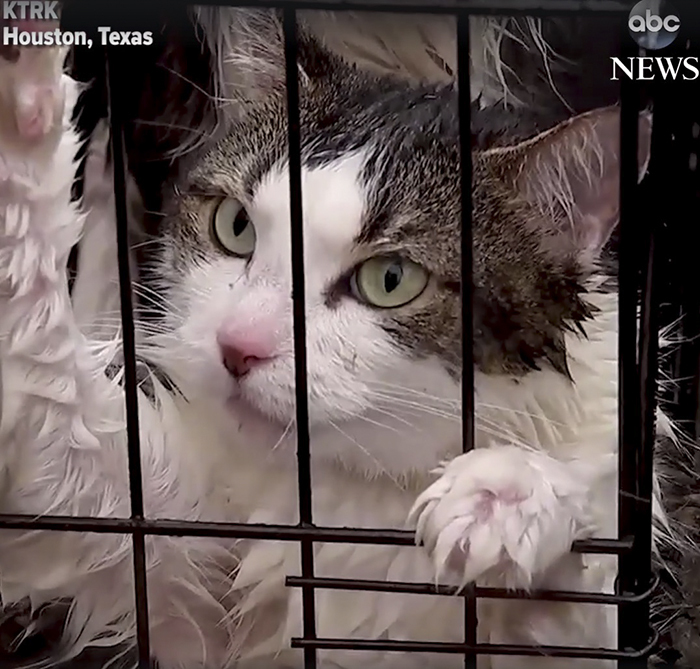 He is 12 now and classified as legally blind.” But it didn’t stop there. There was more to come. More people came forward with their opinions and comments. Most referenced their own personal experiences with albinism. 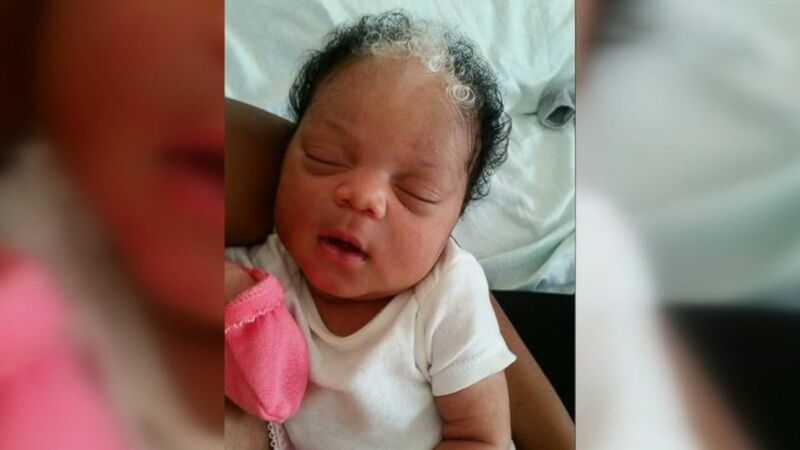 One mother wrote “My little girl was born with hair just like that. 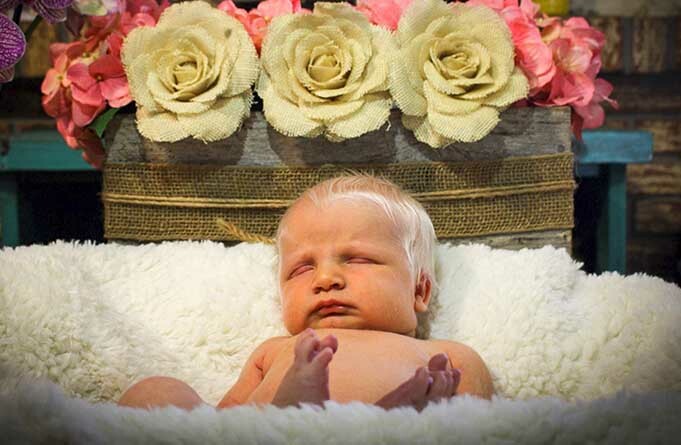 Now her hair is a dirty blondish color with some pigmentation but she definitely has albinism.” For Dr. Kummer, there was no getting away from the online comments and the backlash that came with his diagnosis. Over time Bence’s condition gathered momentum and it got even more attention. 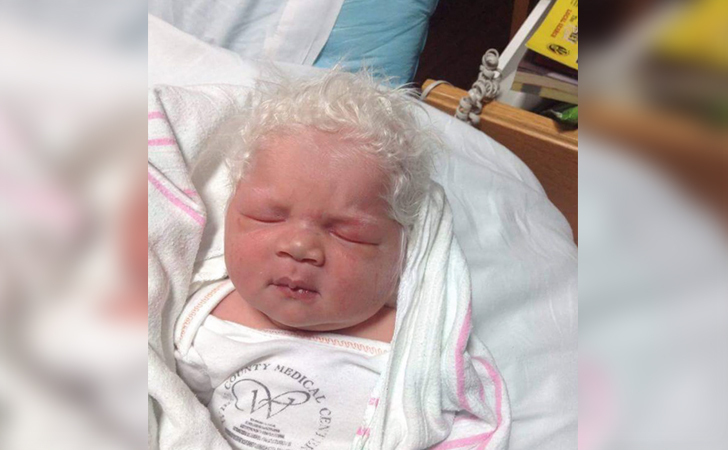 Medical experts from around the world weighed in on the subject but most could only hazard a guess as to why it was only his hair that was indicative of albinism. 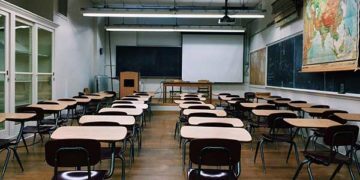 For many, the most obvious reason was genetics while others believed it was due to a vitamin B12 deficiency. While they disagreed on this, they all agreed there was no sign of albinism. For people affected by albinism, bad eyesight and skin issues are problems they live with on a daily basis. For now, it’s hard to say if Bence will have to face similar challenges as he gets older. Only time will tell. However, Bence isn’t the only tiny tot that was born with a somewhat unique feature on his head. 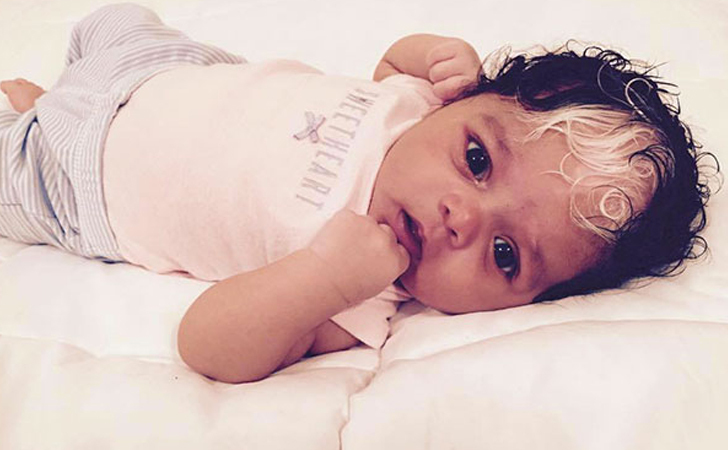 Recently there was a story regarding a baby girl who happened to be born with a head full of black curls as well as a snow white patch. 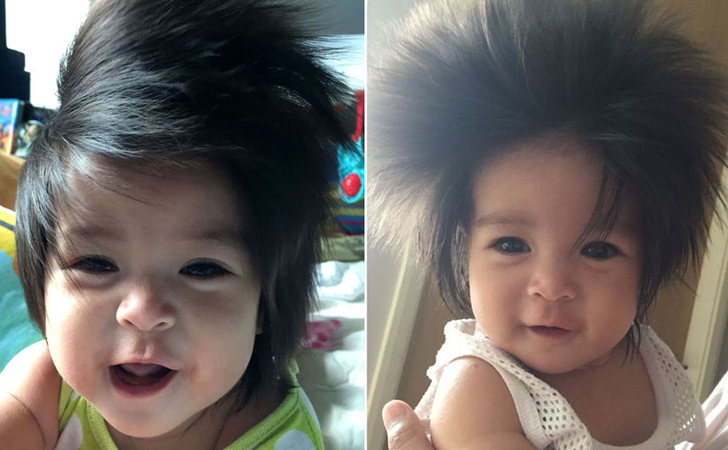 Baby MilliAnna made her appearance in 2016 and as was the case withBence, she was also born with a lot of hair. But unlike him, she had a mop of curly black hair with a small streak of pure white hair just above her forehead. This peculiarity, although not as extreme as Bence’s, raised similar questions. 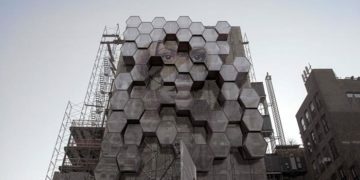 Why did she have it? Was it caused by the same condition? For MilliAnnait was a fairly simple explanation; her streak was due to a shortage of pigmentation. Her mum, completely unphased by it, referred to her little girl as Cruella de Vil, the villain from Disney’s “101 Dalmatians”. While we hope it’s more to do with their similar looks rather than their mischevious behavior it’s very clear her mum adores her just as she is. 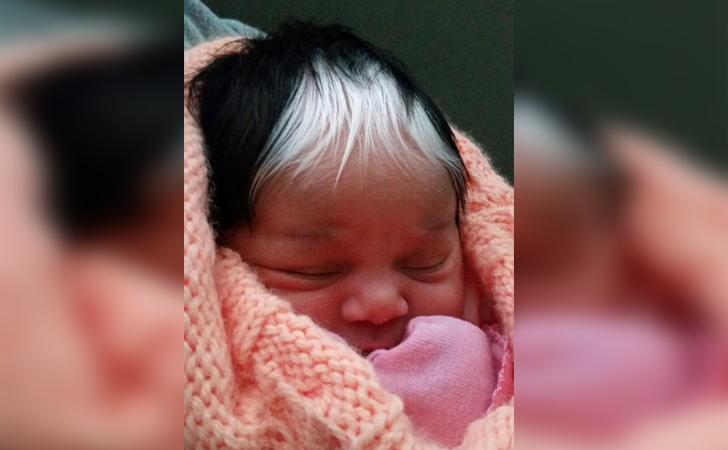 MilliAnna, like her mum and grandmother, has a rare condition called poliosis. Quite simply this means she has an area of skin that doesn’t have any pigmentation. This has resulted in her hair not having any color either. Usually, a person with poliosis has a lower level of melanin in sections of the hair, which in turn affects the follicles. Sam Brown and Dickie Davis are well-known people who have poliosis. 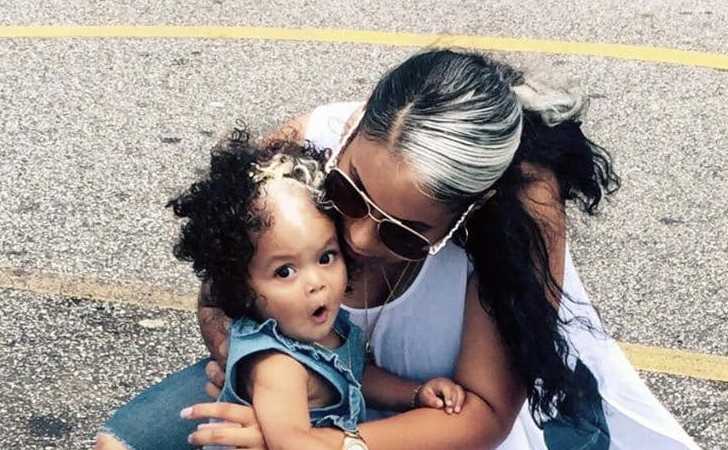 The amazing thing when it comes to MilliAnna’s family is that all the women have the same distinct feature, from her great-grandmother all the way to her mother. It has been passed down from generation to generation and what’s even more amazing is that each and every one of these women is very proud of their white patch. They see it as something that’s part of them, it unites them and keeps them together. The future may be uncertain for many of us, but what we do know is that there’s a very good chance that should MilliAnna have children one day, they too will have curly black hair with a unique white patch in the middle. 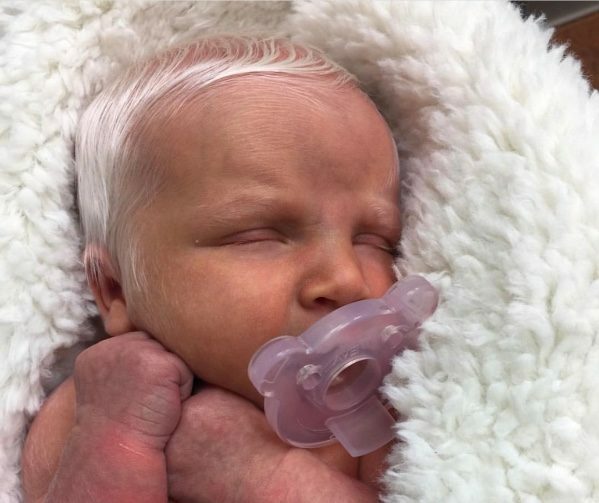 So now the mystery of MilliAnna’s hair has been solved with a fairly simple explanation it’s time to get back to Baby Bence and his unexplained head of very white hair. If we put the spotlight back on Bencewecan see that his family felt more confused by the color of his hair, rather than how much there was. 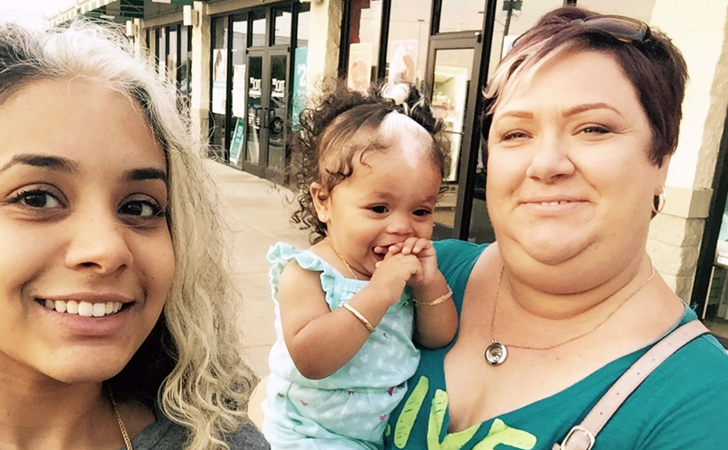 We all know genetics play an important role when it comes to family, even our hair. 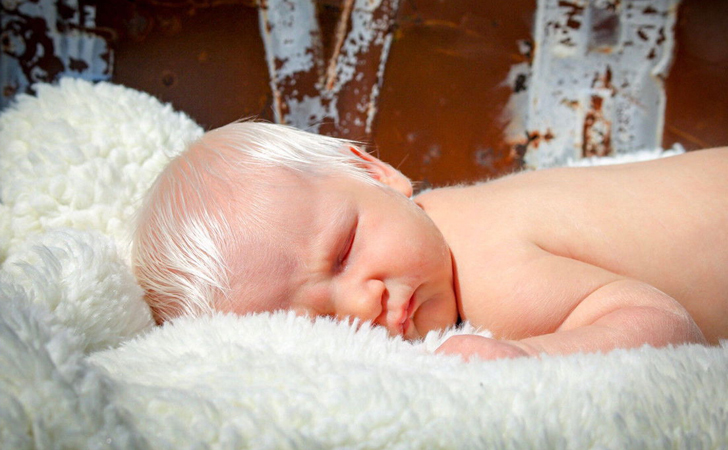 Genes have a direct impact on how a baby’s hair grows, when it grows and of course the color. With regards to Bence’s family, no one else was born with hair like his. 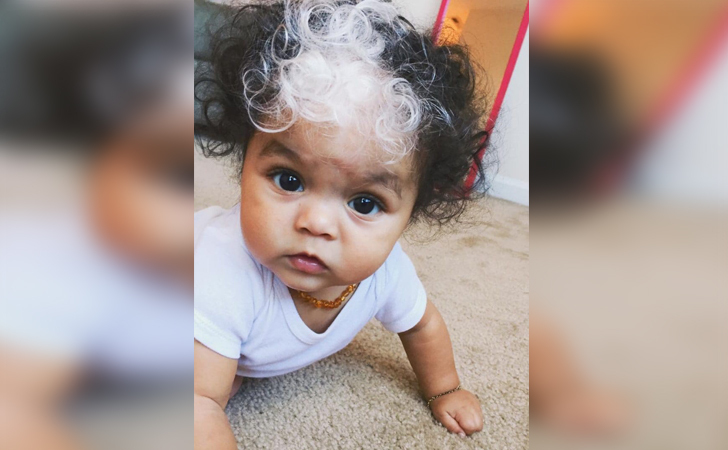 For parents, especially if it’s their first, there’s a chance they might be concerned when their baby is born with more hair than most adults. Doctors, on the other hand, don’t see it as a problem. Even with babies similar to Bence. 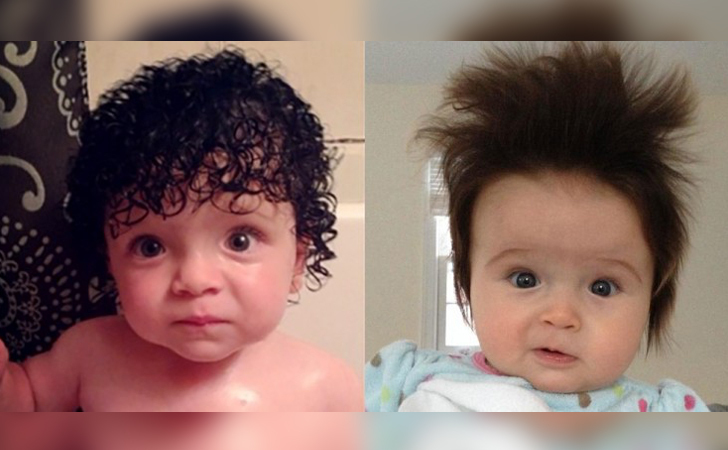 Experienced doctors see their fair share of little ones being born with a mop of hair all the time and often they recommend that parents take as many photos as possible, as a reminder. 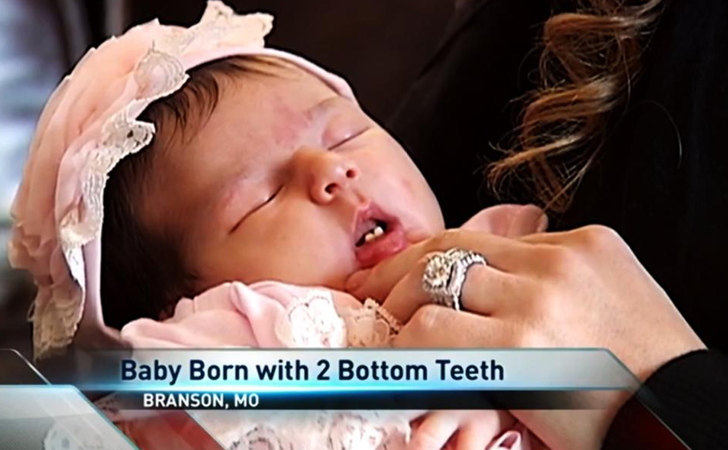 But something that isn’t as common is a newborn baby with teeth. 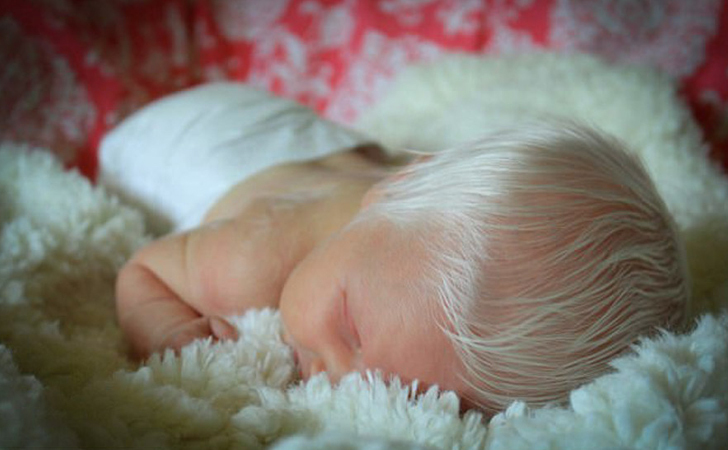 Whether it’s albinism, white patches of hair or teeth, it’s clear babies are interesting little beings. 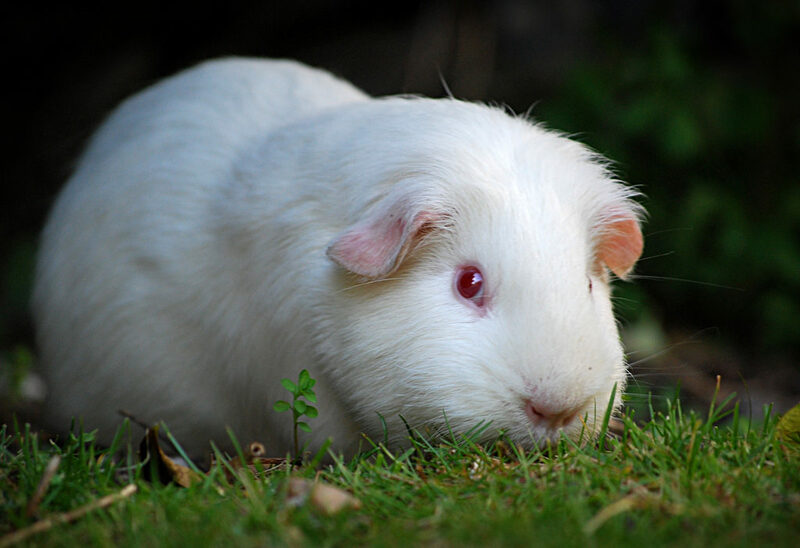 They are vulnerable, pure and go through a lot of changes in a relatively short time. We also know babies are born with rather peculiar features and while doctors continue with research there are still no solid answers to explain these rather bizarre medical occurrences. At the moment there is still no major concern with regards to Bence’s health. Experts agree he is going through a phase and his shock of white hair is only temporary. Whatever the reason, it is only a phase and won’t be something he will have to live with forever. According to the experts, his hair will darken as he gets older. While Bence and babies just like him wait for a medical explanation it is our hope that his hair is due to genetics instead of an illness. 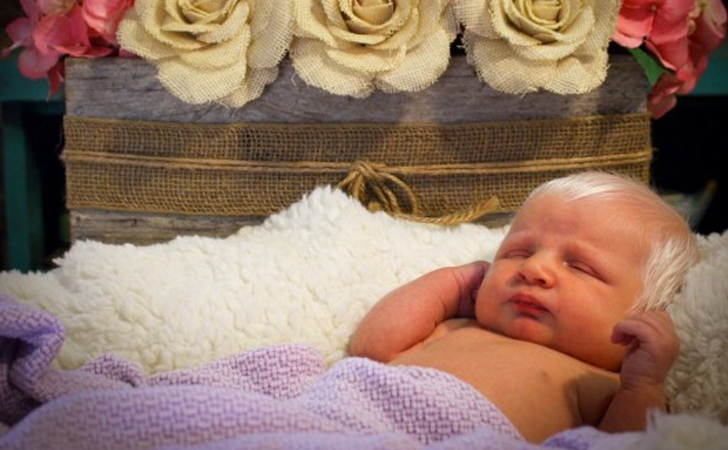 We look forward to seeing little Prince Charming grow into a handsome man with a head of gorgeous hair. We can only wait and see.